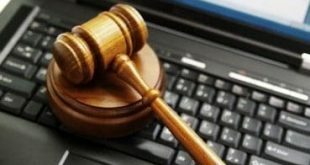 What Is The Average Paralegal Salary By Region? Students and professionals that have career aspirations related to law will benefit by looking into the average salary of a paralegal and other related positions in the workplace. Learning about the average salary for a paralegal in different parts of the country can help employers, students, and professionals identify different opportunities that can impact decisions for employment or employees and their career advancements. Many people want to know, “What is the average annual salary of a paralegal or how much do paralegals make?”- as there is no singular answer, the best response is to note that it‘s important to review and narrow the list of factors that affect the salaries accordingly. 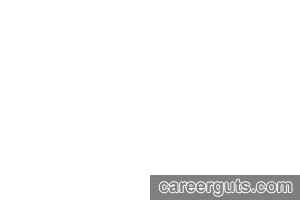 While some states have an average paralegal salary as low as $29,000 and others as high as $63,500, the average annual paralegal salary for the entire United States ranges from around $47,000 to $52,000, or close to $22 per hour. According to the U.S. Bureau of Labor Statistics’ 2014-15 Occupational Outlook Handbook that average will be a little lower in 2014-2015, as the Bureau states the median national annual salary for paralegals as $46,990. The average starting salary is around $39,938 while some may earn as little as $18,000 or as much as $110,000. The average paralegal salary tends to be higher on the east and west coasts, and in the northeast and northwest as well. The Midwest and southern regions tend to yield the lowest average paralegal salary in the United States. 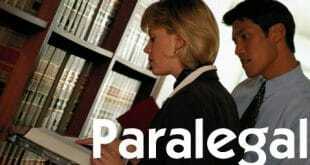 States with average paralegal salaries over $50,000 are Hawaii, Alaska, Colorado, Connecticut, Delaware, Georgia, Illinois, Maryland, Massachusetts, Minnesota, Nevada, New Jersey, New York, Oregon, Pennsylvania, Texas, Virginia, Washington D.C, and Washington. The majority of the paralegals earning under $38,000 per year are currently located in the Midwest region. The majority of the south, including states like Alabama and Mississippi, also shows the bulk of the paralegals earning $38,000 -$43,000 on average each year. There is more variation in Louisiana, Florida, and Texas, where many paralegals are earning around or above $40,000. Regardless of the state or region under consideration, paralegals located closer to metropolitan areas tend to earn higher salaries than those working in rural areas. The regions of America that have higher living expenses typically payout a higher average paralegal salary as well. Paralegal salaries for major cities in California typically range anywhere from $48,000 to $56,000. Aside from the nature of the work, and the required accreditation, it’s also important to think about the average salary for the region and how that will coincide with the living expenses for the area. Now of course there are trends and general assumptions about certain areas of the country that any reasonable person can make. However, in order to yield the most accurate results, it always helps to put in the appropriate due diligence before making any final decisions about the big move. That would mean when considering high salaries in certain regions, it is important to take into account what might factor in to that salary – factors such as the median home price, projected paralegal employment growth, taxes for the regions, and cost of living. Actual salaries will often vary, and in some cases by a significant amount of money, based on specialization within the field, region and location, years of experience, the employers’ business, and a variety of other components. The highest wages (top of the scale) are found in law firms and legal firms, and some small firms. Next, family law firms, then smaller wages are usually noted when employed by private insurance businesses and legal aide groups. A few employers offer regular bonuses and some areas of paralegal employment involve commissions. Paralegal experience also is a large factor for salary. Something as simple as skills and experience in Litigation Case Management can be associated with higher pay for this job. Senior Paralegals with years of experience in firms and businesses where several are paralegals are employed often have starting salaries around $40,000 and can earn up $80,000. Furthermore, increasing your level of education has a large effect on a paralegal salary. Considering employment as a paralegal is a worthwhile pursuit. Paralegal salaries are expected to grow and are projected, through the year 2020, to rise as high as 26% to 31% in some states.